Picasso was unquestionably one of the most gifted printmakers of all time. His ability to master any technique, from etching and aquatint to lithography and linocuts, has earned him a distinguished place in the history of art. 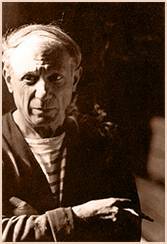 In 1939, on the eve of the Second World War, Picasso carved his first linoleum cut. The work was the artist’s contribution to the hastily assembled album of poems and prints Pour la Tchecoslovaquie: Homage a un pays martyrpublished to commemorate Czechoslovakian martyrs. Its style is quick and curvilinear. Its violent image, the head of an anguished screaming woman, was printed in black and white. It may be considered Picasso’s final postscript to his mural Guernica (1937), and until 1951 Picasso could look back on some 300 etchings and engravings that he had produced over the previous thirty-five years. His achievement in intaglio had been extraordinary and it alone could assure his pre-eminence in the history of printmaking.